This year, for Pi Day, I was prepared. 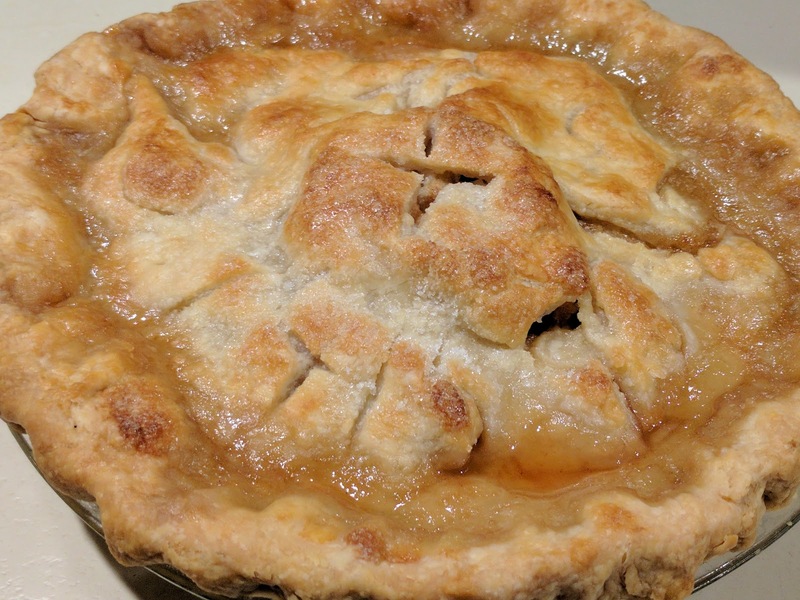 I bought some pears before the snowstorm and today, with the help of the elderchild, made a maple pear pie. After slicing the pears, I let them sit with 1/2 cup sugar while we made the crust. Then I drained the pears and boiled the juice with some maple syrup, cinnamon, nutmeg and cornstarch to thicken it. This was mixed back with the pears before filling the pie crust. Here's the finished pie. Note the vents - the elderchild carved at least 11 digits of π into the crust! We had some of our neighbors over to enjoy it with us, and it was terrific! Also I made a raspberry tart with the rest of the crust; that was an afternoon snack. In addition to all that, while the storm was dumping eight inches of snow, and then rain, on us, I made a gallon of yogurt, a batch of cornbread, a batch of chili, and also did a whole bunch of laundry. Oh, yeah, and last night I made bread. All sorts of lovely food!